The Federal Deposit Insurance Corporation (FDIC) is a United States government corporation created by the Glass–Steagall Act of 1933. It provides deposit insurance, which guarantees the safety of deposits in member banks, currently up to $250,000 per depositor per bank. As of November 18, 2010 (2010 -11-18)[update], the FDIC insures deposits at 7,723 institutions. The FDIC also examines and supervises certain financial institutions for safety and soundness, performs certain consumer-protection functions, and manages banks in receiverships (failed banks). Insured institutions are required to place signs at their place of business stating that "deposits are backed by the full faith and credit of the United States Government." Since the start of FDIC insurance on January 1, 1934, no depositor has lost any insured funds as a result of a failure. At Q4 2010 there are 884 banks having very low capital cushions against risk. It was nearly 12 percent off all federally insured banks, the highest level in 18 years. 4.3 "Full Faith and Credit"
The Board of Directors of the FDIC is the governing body of the FDIC. The Board is composed of five members, three appointed by the President of the United States with the consent of the United States Senate and two ex officio members. The three appointed members each serve six year terms. No more than three members of the Board may be of the same political affiliation. The President, with the consent of the Senate, also designates one of the appointed members as Chair of the Board, to serve a five year term, and one of the appointed members as Vice Chair of the Board, to also serve a five year term. During the 1930s, the U.S. and the rest of the world experienced a severe economic contraction that is now called the Great Depression. In the U.S. during the height of the Great Depression, the official unemployment rate was 25% and the stock market had declined 75% since 1929. Bank runs were common because there wasn't insurance on deposits at banks, banks kept only a fraction of deposits in reserve, and customers ran the risk of losing the money that they had deposited if their bank failed. Allowed national banks to branch statewide, if allowed by state law. Bank sign indicating the original insurance limit offered by the FDIC of $2,500 in 1934. Federal deposit insurance received its first large-scale test in the late 1980s and early 1990s during the savings and loan crisis (which also affected commercial banks and savings banks). The brunt of the crisis fell upon a parallel institution, the Federal Savings and Loan Insurance Corporation (FSLIC), created to insure savings and loan institutions (S&Ls, also called thrifts). Due to a confluence of events, much of the S&L industry was insolvent, and many large banks were in trouble as well. The FSLIC became insolvent and merged into the FDIC. Thrifts are now overseen by the Office of Thrift Supervision, an agency that works closely with the FDIC and the Comptroller of the Currency. (Credit unions are insured by the National Credit Union Administration.) The primary legislative responses to the crisis were the Financial Institutions Reform, Recovery and Enforcement Act of 1989 (FIRREA), and Federal Deposit Insurance Corporation Improvement Act of 1991 (FDICIA). This crisis cost taxpayers an estimated $150 billion to resolve. As a result of the financial crisis in 2008, twenty-five U.S. banks became insolvent and were taken over by the FDIC. However, during that year, the largest bank failure in terms of dollar value occurred on September 26, 2008 when Washington Mutual experienced a 10-day bank run on its deposits. On July 31, 2009, the FDIC launched its Legacy Loans Program (LLP). This initiative is aimed at helping banks rid their balance sheets of toxic assets so they can raise new capital and increase lending. On August 14, 2009, Bloomberg reported that more than 150 publicly traded U.S. lenders had nonperforming loans above 5% of their total holdings. This is important because former regulators say that this is the level that can wipe out a bank's equity and threaten its survival. While this ratio doesn't always lead to bank failures if the banks in question have raised additional capital and have properly established reserves for the bad debt, it is an important indicator for future FDIC activity. On August 21, 2009, the 2nd largest bank, Guaranty Bank, in Texas became insolvent and was taken over by BBVA Compass , the U.S. division of Banco Bilbao Vizcaya Argentaria SA, the second-largest bank in Spain. This is the first foreign company to buy a failed bank during the credit crisis of 2008 and 2009. 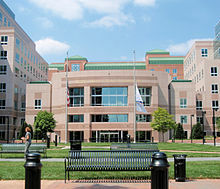 In, addition, the FDIC agreed to share losses with BBVA on about 11 billion of Guaranty Bank's loans and other assets. This transaction alone cost the FDIC Deposit Insurance Fund $3 Billion. On August 27, 2009, the FDIC increased the number of troubled banks to 416 in the second quarter. That number compares to 305 just three months earlier. At the end of the third quarter that number jumped to 552. At the close of 2009, a total of 140 banks had become insolvent. This is the largest number of bank failures in a year since 1992, when 179 institutions failed. On February 23, 2010, FDIC chairman Sheila Bair warned that the number of failures in 2010 could surpass the 140 banks that were seized in 2009. Commercial Real Estate overexposure has now been deemed the most serious threat to banks in 2010. On April 30, 2010, the FDIC used emergency powers to seize three banks in Puerto Rico at a cost of $5.3 billion. In 2010, 157 banks with approximately $92 billion in total assets failed. Between 1989 and 2006, there were two separate FDIC funds — the Bank Insurance Fund (BIF), and the Savings Association Insurance Fund (SAIF). The latter was established after the savings & loans crisis of the 1980s. The existence of two separate funds for the same purpose led to banks attempting to shift from one fund to another, depending on the benefits each could provide. In the 1990s, SAIF premiums were at one point five times higher than BIF premiums; several banks attempted to qualify for the BIF, with some merging with institutions qualified for the BIF to avoid the higher premiums of the SAIF. This drove up the BIF premiums as well, resulting in a situation where both funds were charging higher premiums than necessary. Then Chairman of the Federal Reserve Alan Greenspan was a critic of the system, saying that "We are, in effect, attempting to use government to enforce two different prices for the same item – namely, government-mandated deposit insurance. Such price differences only create efforts by market participants to arbitrage the difference." Greenspan proposed "to end this game and merge SAIF and BIF". In February, 2006, President George W. Bush signed into law the Federal Deposit Insurance Reform Act of 2005 ("FDIRA") and a related conforming amendments act. The FDIRA contains technical and conforming changes to implement deposit insurance reform, as well as a number of study and survey requirements. Among the highlights of this law was merging the Bank Insurance Fund (BIF) and the Savings Association Insurance Fund (SAIF) into a new fund, the Deposit Insurance Fund (DIF). This change was made effective March 31, 2006. The FDIC maintains the DIF by assessing depository institutions an insurance premium. The amount each institution is assessed is based both on the balance of insured deposits as well as on the degree of risk the institution poses to the insurance fund. Bank failures typically represent a cost to the DIF because FDIC, as receiver of the failed institution, must liquidate assets that have declined substantially in value while at the same time making good on the institution's deposit obligations. A March 2008 memorandum to the FDIC Board of Directors shows a 2007 year-end Deposit Insurance Fund balance of about $52.4 billion, which represented a reserve ratio of 1.22% of its exposure to insured deposits totaling about $4.29 trillion. The 2008 year-end insured deposits were projected to reach about $4.42 trillion with the reserve growing to $55.2 billion, a ratio of 1.25%. As of June 2008, the DIF had a balance of $45.2 billion. However, 9 months later, in March, 2009, the DIF fell to $13 billion. That was the lowest total since September, 1993 and represented a reserve ratio of 0.27% of its exposure to insured deposits totaling about $4.83 trillion. In the second quarter of 2009, the FDIC imposed an emergency fee aimed at raising $5.6 billion to replenish the DIF. However, Saxo Bank Research reported that after Aug 7th further bank failures had reduced the DIF balance to $648.1 million. FDIC-estimated costs of assuming additional failed banks on Aug 14th exceeded that amount. The FDIC announced its intent, on September 29, 2009 to assess the banks in advance for three years of premiums in an effort to avoid DIF insolvency. The FDIC revised its estimated costs of bank failures to about $100 billion over the next four years, an increase of $30 billion from the $70 billion estimate of earlier in 2009. The FDIC board voted to require insured banks to prepay $45 billion in premiums to replenish the fund. News media reported that the prepayment move would be inadequate to assure the financial stability of the FDIC insurance fund. The FDIC elected to request the prepayment so that the banks could recognize the expense over three years, instead of drawing down banks' statutory capital abruptly, at the time of the assessment. The fund is mandated by law to keep a balance equivalent to 1.15 percent of insured deposits. As of June 30, 2008, the insured banks held approximately $7,025 billion in total deposits, though not all of those are insured. The DIF's reserves are not the only cash resources available to the FDIC: in addition to the $18 billion in the DIF as of June, 2010; the FDIC has $19 billion of cash and U.S. Treasury securities held as of June, 2010 and has the ability to borrow up to $500 billion from the Treasury. The FDIC can also demand special assessments from banks as it did in the second quarter of 2009. In light of apparent systemic risks facing the banking system, the adequacy of FDIC's financial backing has come into question. Beyond the funds in the Deposit Insurance Fund above and the FDIC's power to charge insurance premia, FDIC insurance is additionally assured by the Federal government. According to the FDIC.gov website (as of January 2009), "FDIC deposit insurance is backed by the full faith and credit of the United States government". This means that the resources of the United States government stand behind FDIC-insured depositors." The statutory basis for this claim is less than clear. Congress, in 1987, passed a non-binding "Sense of Congress" to that effect, but there appear to be no laws strictly binding the government to make good on any insurance liabilities unmet by the FDIC. When a bank becomes undercapitalized the FDIC issues a warning to the bank. When the number drops below 6% the FDIC can change management and force the bank to take other corrective action. When the bank becomes critically undercapitalized the FDIC declares the bank insolvent and can take over management of the bank. Purchase and Assumption Method (P&A), in which all deposits (liabilities) are assumed by an open bank, which also purchases some or all of the failed bank's loans (assets). Other failed assets are auctioned online, primarily through The Debt Exchange and First Financial Network. Payout Method, in which insured deposits are paid by the FDIC, which attempts to recover its payments by liquidating the receivership estate of the failed bank. These are straight deposit payoffs and are only executed if the FDIC doesn’t receive a bid for a P&A transaction or for an insured deposit transfer transaction. In a straight deposit payoff, no liabilities are assumed and no assets are purchased by another institution. Also, the FDIC determines the insured amount for each depositor and pays that amount to him or her. In calculating each customer’s total deposit amount, the FDIC includes all the interest accrued up to the date of failure under the contractual terms of the depositor’s account. outstanding cashier's checks, interest checks, and other negotiable instruments drawn on the accounts of the bank. Accounts at different banks are insured separately. All branches of a bank are considered to form a single bank. Also, an Internet bank that is part of a brick and mortar bank is not considered to be a separate bank, even if the name differs. Non-US citizens are also covered by FDIC insurance. The FDIC publishes a guide entitled Your Insured Deposits, which sets forth the general characteristics of FDIC deposit insurance, and addresses common questions asked by bank customers about deposit insurance. The Securities Investor Protection Corporation, a separate institution chartered by Congress, provides protection against the loss of many types of such securities in the event of a brokerage failure, but not against losses on the investments. Further, as of September 19, 2008, the US Treasury is offering an optional insurance program for money market funds, which guarantees the value of the assets. Exceptions have occurred, such as the FDIC bailout of bondholders of Continental Illinois. The contents of safe deposit boxes. Even though the word deposit appears in the name, under federal law a safe deposit box is not a deposit account – it is merely a secured storage space rented by an institution to a customer. Losses due to theft or fraud at the institution. These situations are often covered by special insurance policies that banking institutions buy from private insurance companies. In these situations, there may be remedies for consumers under state contract law, the Uniform Commercial Code, and some federal regulations, depending on the type of transaction. Insurance and annuity products, such as life, auto and homeowner's insurance. ^ "fdic key statistics". http://www2.fdic.gov/idasp/. Retrieved 2010-06-03. ^ FDIC. "FDIC: Who is the FDIC?". http://www.fdic.gov/about/learn/symbol/index.html. Retrieved 2009-07-24. ^ FDIC. "Failed Bank List". http://www.fdic.gov/bank/individual/failed/banklist.html. Retrieved 2009-06-27. ^ Shen, Linda (2008-09-26). "WaMu's Bank Split From Holding Company, Sparing FDIC". Bloomberg. http://www.bloomberg.com/apps/news?pid=20601087&sid=a2VofC5midrw&refer=home. Retrieved 2008-09-27. ^ Dash, Eric (2008-04-07). "$5 Billion Said to Be Near for WaMu". The New York Times. http://www.nytimes.com/2008/04/07/business/07cnd-wamu.html?_r=1&oref=slogin. Retrieved 2008-09-27. ^ FDIC. "Legacy Loans Program". http://www.fdic.gov/news/news/press/2009/pr09131.html. Retrieved 2009-07-31. ^ Ari Levy. "Toxic Loans Topping 5% May Push 150 Banks to Point of No Return". http://www.bloomberg.com/apps/news?pid=20601087&sid=aTTT9jivRIWE. Retrieved 2009-08-14. ^ Barr, Colin (August 21, 2009). "Foreign banks can't save everyone". CNN. http://money.cnn.com/2009/08/21/news/companies/banks.invasion.fortune/?postversion=2009082115. Retrieved May 2, 2010. ^ Eric Dash (November 24, 2009). "As Bank Failures Rise, F.D.I.C. Fund Falls Into Red". The New York Times. p. B4. http://www.nytimes.com/2009/11/25/business/economy/25fdic.html. Retrieved 2009-11-28. ^ a b Dakin Campbell. "Avanta Bank, Six other U.S. Banks Collapse Due to Bad Loans". http://www.bloomberg.com/apps/news?pid=20601087&sid=aSAZEmeZ5Ek4&pos=6. Retrieved 2010-03-19. ^ FDIC. "FDIC Trends, March, 2009". http://www.fdic.gov/bank/statistical/stats/2009mar/fdic.pdf. Retrieved 2009-07-10. ^ Dakin Campbell. "Puerto Rico Banks Seized as Regulators Waive Deposit Limits". http://www.bloomberg.com/apps/news?pid=20601087&sid=amOYkeUXdioM&pos=7. Retrieved 2010-04-30. ^ "Failed Banks Class of 2010". http://www.snl.com/InteractiveX/article.aspx?ID=10564971. Retrieved 2011-01-05. ^ Sicilia, David B. & Cruikshank, Jeffrey L. (2000). The Greenspan Effect, pp. 96–97. New York: McGraw-Hill. ISBN 0-07-134919-7. ^ Sicilia & Cruikshank, pp. 97–98. ^ http://www.fdic.gov/deposit/insurance/assessments/assessment_rates_2008.pdf "Assessment Rates for 2008," p. 11. Retrieved on 2008-08-11. ^ a b Ari Levy and Margaret Chadbourn (July 10, 2009). "Bank of Wyoming Seized; 53rd U.S. Failure This Year (Update1)". http://www.bloomberg.com/apps/news?pid=20601087&sid=agpbmkGrsbu4. Retrieved 2009-07-10. ^ http://www.fdic.gov/bank/statistical/stats/2009mar/fdic.pdf "FDIC Statistics at a Glance." Retrieved on 2008-08-11. ^ Ari Levy and Margaret Chadbourn. "Lender Failures Reach 64 as Georgia Shuts Security Bank’s Units". http://www.bloomberg.com/apps/news?pid=20601087&sid=aTvSvyYr_sEE. Retrieved 2009-07-224. ^ Bagger-Sjöbäck, Robin (August 12, 2009). "FDIC’s Shrinking Deposit Insurance Fund – A Testimony of Current Accounting Standards". Saxo Bank Research. http://www.tradingfloor.com/EN/Pages/Financial_News.aspx?blogid=280. Retrieved 2009-08-20. ^ a b Associated Press (September 29, 2009). "FDIC Insurance Plan Is No Long-Term Solution". New York Times. http://www.nytimes.com/aponline/2009/09/29/business/AP-US-FDIC-Shrinking-Fund.html. Retrieved September 29, 2009. ^ "Deposits of all FDIC-Insured Institutions, National Totals* by Asset Size: Data as of June 30, 2008". Summary of Deposits. Federal Deposit Insurance Corporation. http://www2.fdic.gov/sod/sodSumReport.asp?barItem=3&sInfoAsOf=2008. Retrieved October 3, 2009. ^ a b , FDIC 2nd quarter 2010 balance. ^ "Banks Tapped to Bolster FDIC Resources: FDIC Board Approves Proposed Rule to Seek Prepayment of Assessments". Press Release (Federal Deposit Insurance Corporation). September 29, 2009. http://www.fdic.gov/news/news/press/2009/pr09153.html. Retrieved October 4, 2009. ^ "FDIC Extends Restoration Plan: Imposes Special Assessment". Press Release (Federal Deposit Insurance Corporation). February 27, 2009. http://www.fdic.gov/news/news/press/2009/pr09030.html. Retrieved October 5, 2009. ^ "FDIC: Symbol of Confidence for 75 Years". http://www.fdic.gov/consumers/banking/confidence/symbol.html#Full. Retrieved 2009-01-16. ^ "FDIC Law, Regulations, Related Acts". http://www.fdic.gov/regulations/laws/rules/4000-2660.html. Retrieved 2009-01-16. ^ Henriques, Diana B. (2008-09-19). "Treasury to Guarantee Money Market Funds". The New York Times. http://www.nytimes.com/2008/09/20/business/20moneys.html?em. Retrieved 2008-09-20. 60 Minutes - Your Bank Has Failed: What Happens Next? Categories: New Deal agencies | Government-owned companies in the United States | Federal Deposit Insurance Corporation | Companies established in 1933 | Independent agencies of the United States government | Bank regulation in the United States | Financial regulatory authorities of the United States | Organizations based in Washington, D.C. This page was last modified on 26 April 2011 at 19:05.